Fine reproductions of 18th and 19th century American chests-of-drawers are available in all of their forms. 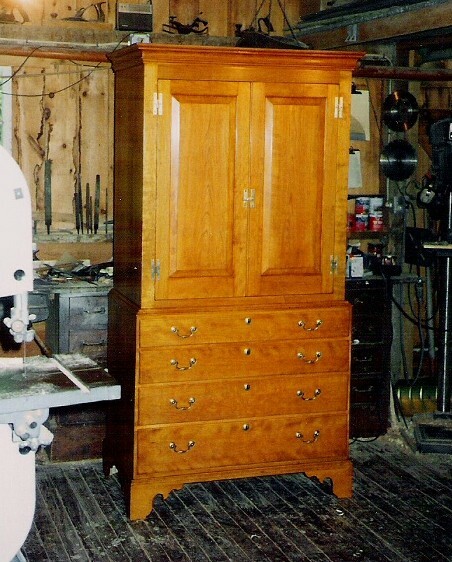 Stephen H. Smith has built case pieces of the Queen Anne, Chippendale, Hepplewhite and Sheraton styles. From open talon ball-and-claw Newport style bonnet top highboys to simple shaker style interpretations, and from seven drawer tall chests to double dressers, chests made by Stephen H. Smith help to beautify and organize many of the finest homes of the day. If you are considering having one or more chests built for your home, please request more details and a price quote from Mr. Smith. Detail of shell and bonnet of tiger maple highboy. 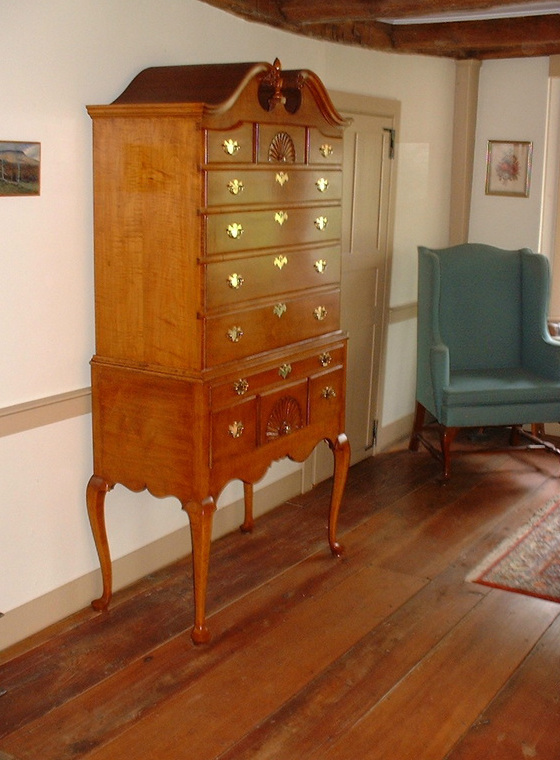 A cherry Chippendale linen press, ideal for use in early houses with few closets. The upper section will accommodate clothes hangers. 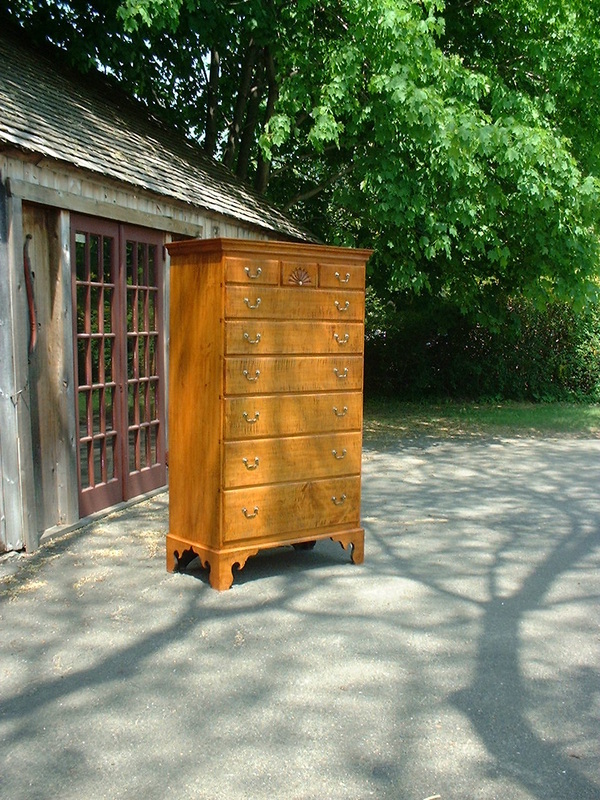 A seven drawer tiger maple tall chest with stylized sunburst carving.